Researchers from Harvard University have developed a new approach to repairing damaged cells in the ear. Until now, science seemed to have hit a brick wall: medication administered to treat auditory problems was constantly swept away by the fluid circulating in the inner ear. But hope is returning for hearing-impaired people – and that’s potentially all of us – as scientists have developed a molecule which is able to both resist this flow of fluid and mimic a protein capable of regenerating synapses, the junctions between nerve cells essential for sound perception and transmission. Their study was conducted on animal cells in vitro so we will unfortunately have to wait some years before knowing whether this treatment is suitable for humans. However, this doesn’t mean there’s nothing you can do in the meantime: there are ways to reduce the risks and severity of the hearing loss of which you may be a victim in the future. 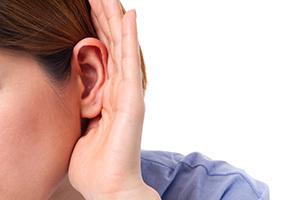 What can you do right now to prevent hearing loss? It’s estimated that around 70% of people over 70 will experience significant hearing loss during their lifetime. It is caused by the inevitable deterioration of the auditory system. Over time, there is an irreversible loss or malfunction in the 30,000 ciliated (hair) cells of the inner ear (those that detect sound). Similar to long-sightedness, this process develops from the age of 50, with high frequency sound particularly affected. This is because it is these frequencies that are coded by the highly-sophisticated ciliated cells. There is not much you can do to prevent this deterioration but you can reduce its intensity by minimising free radical formation (1-2). These molecules, which are capable of altering cells in the ear, are generated by a number of factors including smoking (3), excess weight, poor diet, ototoxic drugs, and in particular, noise, be it temporary or chronic. Several studies have shown that excessive noise mechanically and irreversibly alters the hair cells of the cochlea. In this context, US army medical records show almost a third of those in the military suffered ‘permanent noise-induced hearing loss’ (NIHL) following the First World War. If the noise is sufficiently loud, free radicals may trigger the death of several cells, resulting in vasoconstriction (narrowing of the blood vessels) in the ear which further stimulates free radical generation (4-7), in a similar way to what happens during a heart attack. The body usesantioxidants to counteract this process. It is able to produce endogenous antioxidants but also draws on ‘ready-made’ exogenous ones from the diet which also support endogenous antioxidant production. This is one of the theories behind magnesium’s protective effect (8) against hearing loss, particularly that related to noise (9). It appears to increase levels in the ear of a powerful antioxidant enzyme called superoxide dismutase (10). It may also encourage vasodilation, thus reducing damage to the cochlea from free radicals, and to curb excessive calcium in cells, a process which follows acoustic trauma and leads to cell death. Several studies suggest that exogenous antioxidants, particularly beta-carotene and vitamin C, act synergistically with magnesium to reduce the risks posed to hearing by free radicals (11-15). If you are regularly exposed to loud noise, you may be interested in boosting your magnesium intake (by taking OptiMag or a multivitamin which contains magnesium such as the famous Daily 3). You can also increase your consumption of magnesium-rich foods such as soya, chocolate, nuts (almonds, Brazil, cashew or pine nuts …), fish and green vegetables (especially spinach and artichokes). Reduced comprehension in noisier environments (group exchanges). The constant feeling that everyone’s mumbling. Having to ask people to repeat things. If none of these symptoms has yet appeared, there’s still time to think about prevention. If at least one of them is already apparent, you don’t have a second to lose: the longer you leave it before trying a hearing aid, the more your neural circuits grow unaccustomed to complex noises. When you finally resort to wearing one, these noises that you’ll once again be able to hear will seem unbearable. Remember too that a recent study identified a link between age-related hearing loss and a faster rate of cognitive decline.